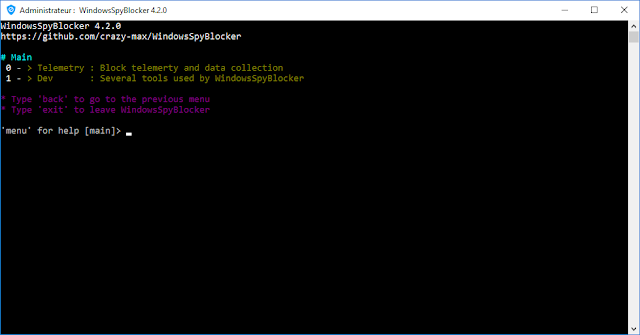 WindowsSpyBlocker is an application written in Go and delivered as a single executable to block spying and tracking on Windows systems. The initial approach of this application is to capture and analyze network traffic based on a set of tools. It is open for everyone and if you want to contribute or need help, take a look at the Wiki. For more info, take a look at Wiki. Windows 10 Pro 64bits with automatic updates enabled. Windows 8.1 Pro 64bits with automatic updates enabled. Windows 7 SP1 Pro 64bits with automatic updates enabled. Traffic dumps are clean every day and compared with the current rules to add / remove some hosts or firewall rules. DNSCrypt : a protocol for securing communications between a client and a DNS resolver. OpenWrt : an open source project used on embedded devices to route network traffic. P2P : a plaintext IP data format from PeerGuardian. 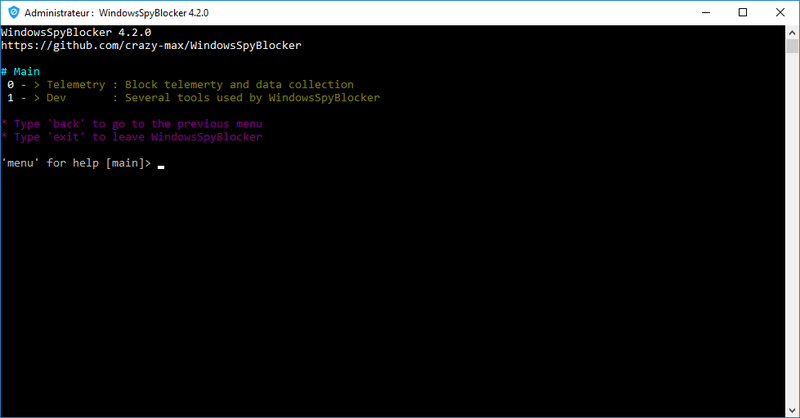 Proxifier : an advanced proxy client on Windows with a flexible rule system. simplewall : a simple tool to configure Windows Filtering Platform (WFP). And about data collection, you can read the Telemetry collection page for more info. pi-hole : A black hole for Internet advertisements (designed for Raspberry Pi). WPD : Customize Group Policy, Services and Tasks, responsible for data collection and sending, as you like. simplewall : Simple tool to configure Windows Filtering Platform (WFP). LEDE Project : A Linux operating system based on OpenWrt. Mikrotik hosts parser : An application that blocks "advertising" for routers based on RouterOS. void-zones-tools : A list of void zones that can be readily feed into Unbound on FreeBSD. DNSCrypt Proxy : A flexible DNS proxy, with support for encrypted DNS protocols.